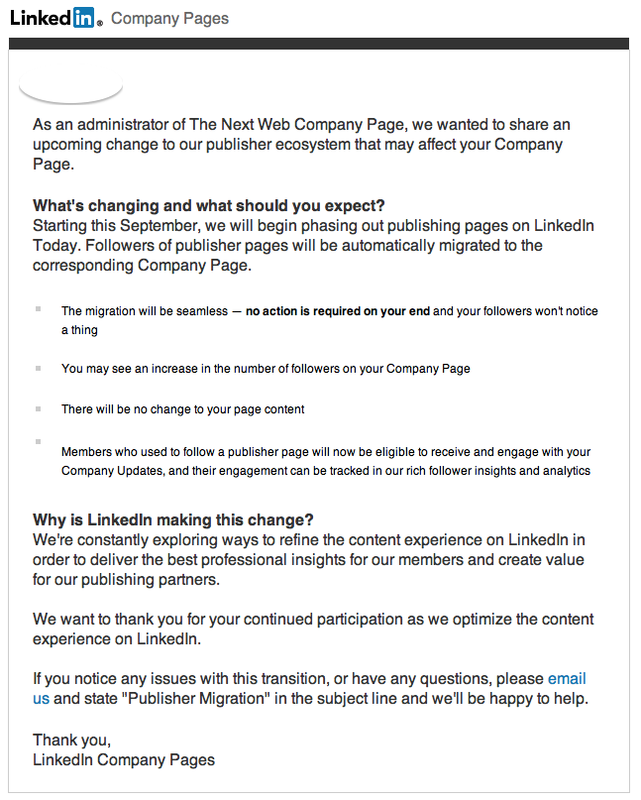 LinkedIn plans to phase out publisher pages on its curated news portal LinkedIn Today, and migrate followers to company pages where possible. In an email sent to company page administrators, LinkedIn said the change will be rolled out across its business-focused social network this month. Publisher pages have always been an ambiguous concept. It’s a space for trending news published by particular publishers, users and others on the Web. The company manages the entire process and populates publisher pages automatically. This ensured high quality content across LinkedIn Today, but meant social media managers had no control over what was shown. 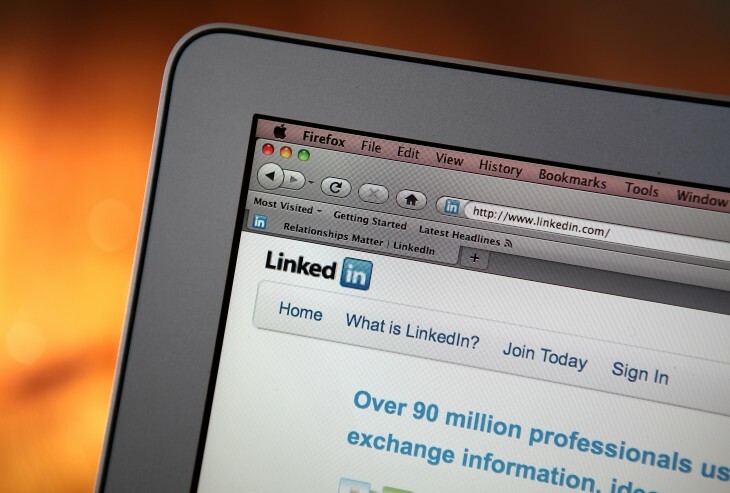 It’s unclear whether LinkedIn will begin to choose content from company pages instead, or whether administrators will now be able to select which status updates and links are put forward for LinkedIn Today. Regardless, the decision should give company pages additional exposure and also cut out some of the areas where these two features overlapped.